The Mayhem Buckhurst Hill is an exceptional venue situated on our 80 acre site and is conveniently on the London Central line at Theydon bois so only a couple of stops away. The Mayhem Paintball Venue is popular with all groups in and around the Essex and London area perfect for Stag and Hens, Birthday parties and corporate days out. There are 16 game zones to play with Mayhem adding a new playing field every 6 months Mayhem is more like a Theme park with our ’exceptional Urban’ game zone. Here at Mayhem near Buckhurst Hill you will find highly trained staff to marshals and marshal look after and referee you so you have the ultimate day out. With its idyllic location serving only a 5 minute drive from Buckhurst Hill just the other side of Chigwell, Essex our players choose to return to Mayhem Paintball time and time again. 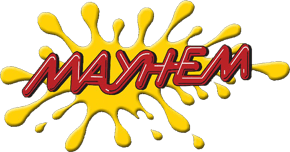 The Mayhem Abridge venue has been operating for 27 years since 1987 and we are just off of junction 26 of the M25 the Waltham abbey junction with our many years or experience we can offer a great day that will never be forgotten, perfect for occasions such as birthdays from 12 years old we also offer Outdoor Laser Tag from 7 years old.